At the beginning of the 1980s, thanks to a healthy volume of new orders that we filled successfully, and to the satisfaction of the customers in Central America, Nigeria, Europe and the USA, and thanks also to some important turnkey plants in the Soviet Union (particularly those with Pirelli for the steel cord, and with Breda for heavyweight drill pipes used in oil exploration), the company was able to invest with a view to expanding the business. In 1976 Danieli’s sales amounted to 26 M Euro, with 1,489 people. These investments were primarily directed at buying companies that had been leaders in their respective sectors. Among the most important additions during that period were companies that possessed high technology and a sound reputation: the Swedish company Morgårdshammar, the American company Wean United; Centro Maskin, another Swedish company, followed by Sund (Sweden) and Rotelec (France). 1. 35,000+35,000-tpy steelcord production complex, supplied on a turnkey basis to BMZ, Belarus (1987). 2. Minimill for heavy drill rods and forged bars, supplied on a turnkey basis to SumyMashExport, Ukraine (1989). So, basically, the company expanded by drawing together various independent firms around a common center. 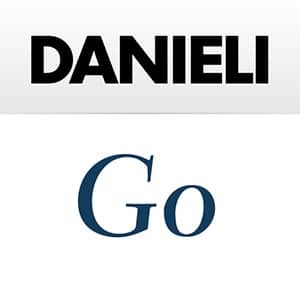 The entire operation was successful because Danieli was able to expand the product range and increase the presence in new markets. The remaining resources were invested in research. 1. Laboratory and prototype testing activities at Danieli Research Center. 2. Aerial view of Danieli HQ facilities at Buttrio (2000). Danieli continued to make acquisitions incorporating Fröhling and W+K in Germany, and more recently, Innoval (research center for the aluminum sector) and Lynxs (scrap processing) in the United Kingdom. In 1999 the company suffered a terrible loss, the premature passing of Mrs. Cecilia Danieli, a woman of tremendous strength and generosity who dedicated her life to the company. 1. Assembly of a Danieli Fröhling 20-high rolling mill for accurate thin-gauge strip production (1999). 2. Machining of a heavy plate mill stand housing on Jumbo gantry milling machines at Buttrio workshops (2000).